Catlin Wines was founded in 2013 by winemaker Darryl Catlin, fulfilling a long held dream of making his own wine. Growing up in the Barossa Valley, Darryl picked bush vine Grenache in his parents’ vineyard for pocket money, which set the scene for a lifelong obsession with the wine industry. Various stints in wine retail fuelled the passion and led to eventual study in winemaking. 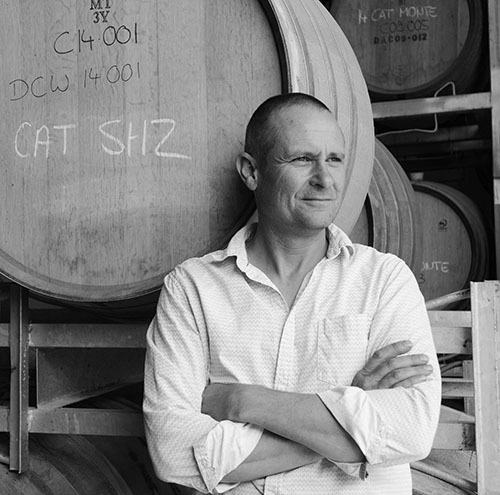 Honing his skills over more than a decade at Shaw and Smith, Darryl developed an intricate knowledge of the Adelaide Hills wine region, and is now putting that to good use in creating his own unique style of wines. Catlin Wines started with just 4 varieties that first vintage, and has steadily increased its portfolio since then. Grapes are sourced from premium vineyards around the Adelaide Hills, as well as some small parcels from the Clare Valley. The wines are processed at the Sidewood Winery in Nairne where Darryl is also the winery manager. With a preference for wild ferments and minimal intervention, each wine becomes an expression of the local terroir – the best representation of what can be achieved from that individual, selected vineyard. In just a few short years, Catlin Wines has already established a strong reputation for high quality wines, with a number of trophies, medals and high ratings from well-respected wine writers. James Halliday named Catlin Wines as one of the “Top 10 Best New Wineries” in his 2016 Wine Companion.